Spending the entire day managing your social media profiles – especially if you own a small business – can prove to be a tall order. It’s an entirely different story for a social media marketing professional – whose job is to spend hours and days managing social media accounts for various clients. However, knowing a few social media account management and optimization tips and tricks – will save you a lot of time, effort and help you focus on other aspects of growing a business and acquiring potential customers. There are tools and software that you can use for managing small business social media accounts, like, HootSuite, Moz, Buffer, SproutSocial, BuzzSumo, and others. The price range for most of these resources starts from $99 to $400 / month. I am going to share inexpensive (you can say free!) quick and easy methods and techniques to manage multiple social media accounts for your small business. Social Media connects brands with audiences. The channels – apart from promoting businesses – also creates a two-way source of communication between consumers and businesses. 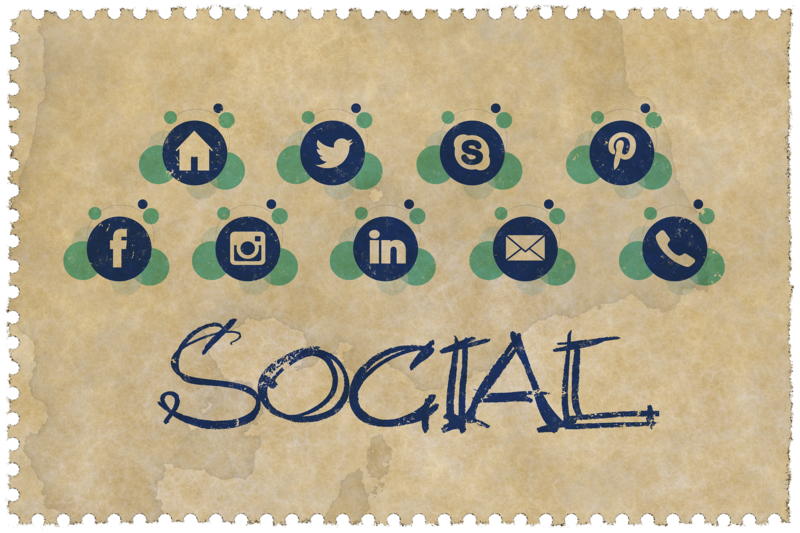 To manage social media accounts for your small business, you first need to listen and get acquainted with your audience on various social media platforms. It is called social listening. Hear about the conversations surrounding your business via messages, comments, mentions, hashtags, etc. on social media channels. Social Listening helps in enhancing customer experience. Chrome Extensions are super efficient (if you choose smartly). There are 10 Chrome Extensions – specifically applicable for social media management and social media managers. Bit.ly – With Bit.ly you can shorten longer hyperlinks and get enough space for social media posts. Pocket – Sharing relevant posts and messages on social media drives engagement and results. The best way to curate and access the best posts and articles across the internet is available via Pocket. Pinterest Save Button – This extension allows you to access images that you want to share in your Pinterest Dashboard. Mini Feedly – Find shareable content and posts without opening Feedly or logging into it in another window. The Chrome extension will do the work for you, saving time and effort to post the best content across all social media channels. Video Cutter – Video Cutter Chrome extension is YouTube supported. It allows you to cut and edit videos to share online. Agorapulse – Agorapulse is a social media management tool. With its availability as a Chrome Extension, you can schedule posts, share and schedule reshare on multiple social media platforms. Browser Stack Local – Browser Stack Local Chrome Extension does help in saving a massive amount of time. You can test workflows, layouts and more on both mobile and desktop browsers, without visiting or using any other resource or tool. Google Forms – The extension allows to create reports, analytics, forms, run surveys, and quizzes, create questionnaires and more for better productivity. Pic Monkey – Do instant image updates, edits, brush ups, fixes and more, with a simple Pic Monkey extension. Google Keep – Create your to-do list, create memos, voice memos and collaborate with your team, without spending an extra minute in using other tools. Driving engagement is the central objective of all your social activity. More and more customers prefer interacting with brands and businesses on social media if it holds relevant to their needs. From replying to customer queries, commenting, liking to tagged content, resharing, to following influencers and users who will drive results to your business, are a few ways you can engage and interact with your audience on social media. But you have to be a wise owl, instead of a night owl to maintain the pace and tap on the sources. IFTTT or If This Then That is an app that allows you to automate everything you do via the Internet from websites, applications to online accessories. You can use IFTTT to automate social media posting and relevant tasks. You can also go with Zapier for easy automation of all your digital marketing duties. Create automation – applets – through IFTTT by signing up for free. Access business, bookmarking, blogging, social media, email, and hundreds of other tools and networks. Why should small businesses make every use of social media marketing? How to find and choose the ideal social media network for your small business? You can – any day – use HootSuite and similar social media marketing tools to create, share, schedule content on social media, manage multiple accounts, create reports, monitor campaigns and do lots more. But at the end of the day, you need to optimize your task list, work on in-depth strategies and engage with your audience from the core level to drive the desired results. Managing social media accounts for your small business is not rocket science. You can spend a few minutes or the entire day to follow a workflow but with a smart worksheet, you can a day’s task in just an hour’s turnaround time.